Location: Hotel Arpana, Church Street, Ranchi, Jharkhand. Dad: Is there any restaurant nearby to have dinner? Receptionist: Yes Sir, there is, The Kaveri Restaurant, it’s just nearby. So dad went out for an evening stroll and also thought to checkout the restaurant before going out for dinner. He was out for about an hour but couldn’t find the mentioned restaurant anywhere nearby, however found Hotel Annapurna on his way back (not more than 250m from the hotel where we stayed) and that night we had our dinner in that restaurant. Location: GEL Church Complex, Ranchi, Jharkhand. 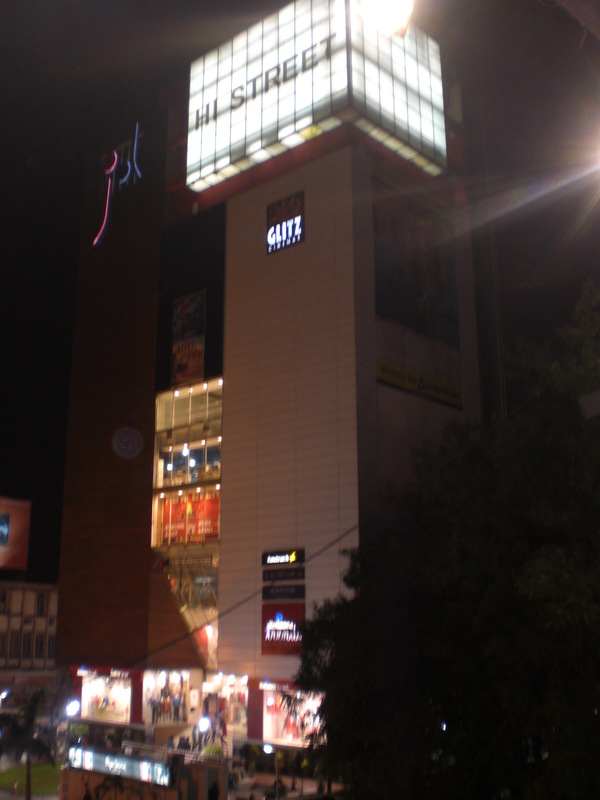 We went out to see the most hyped GEL Church Complex, Main Road, Ranchi. Took a rickshaw which charged Rs.10/-(found it quite cheap). It was about 1 km from the hotel and we stepped down from the rickshaw. The road was quite busy with all the hustle bustle of the people and vehicles on both the sides of the road. People with hefty shopping bags, kids playing around, youngsters hanging around and few people just leisurely moving around, complemented to a perfect Saturday evening. There was an overbridge across the road which stood aloof from the crowd. The parking lot was packed with 2 and 4 wheelers. There was a shopping complex which had all the major brand showrooms waiting for their customers. Dad and I went upstairs of the complex, checked out shops in order to pick up something that would reflect Jharkhand. At the top floor we found a shop that said JharKraft. Finally we bought few things like tribal jewellery stuff and dad picked up Tribal Masks. After coming out we moved around the complex again and saw a gathering of few people on the 1st floor. 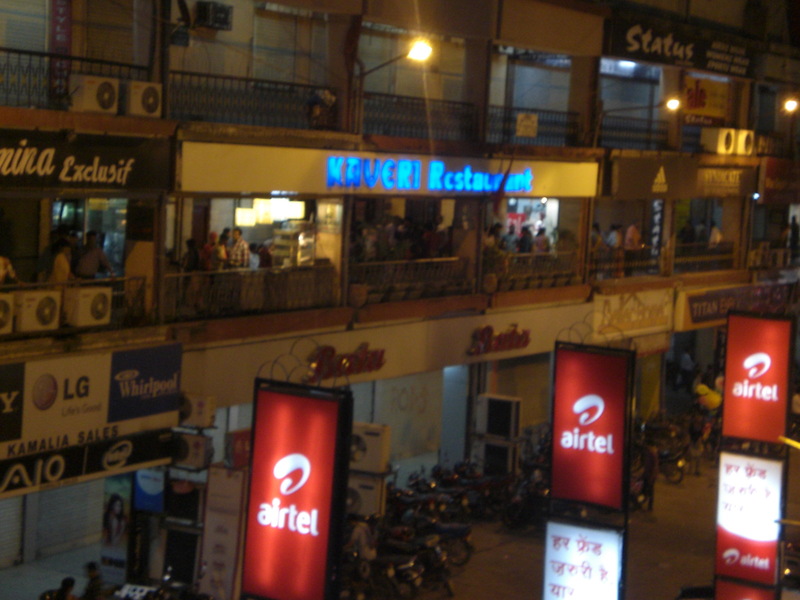 We went that side and I saw the Kaveri Restaurant. Me: Dad, look at this(pointing to the sign board). Dad: “Oh! What a man! (he meant the receptionist). He told me to come this far and have dinner!! I saw many people of all age groups waiting there to have their supper, but we moved on and decided not to wait there as we did not have patience to wait and then have food. However, I turned back and thought it was worth mentioning about this restaurant by the hotel guy.